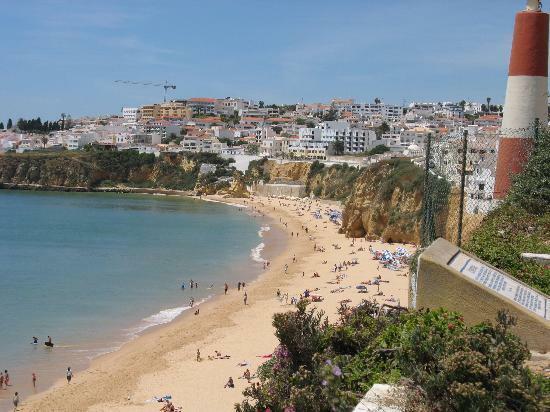 Albufeira - Once a peaceful fishing village, Albufeira is now one of Portugal's most popular tourist destinations. The old town retains its narrow streets and whitewashed houses perched over a charming beach, where you can walk amidst colourful fishing boats ornamented with eyes, animals and stars. Shops, bars and restaurants fill every corner, but there is also the old castle, the buildings which still preserve Moorish arches and interesting churches, like the one of São Sebastião. Aljezur - A small market town with two parts divided by a fertile river valley. Its 10th century hilltop Moorish Castle, offering nice views to the surrounding countryside, dominates the old town. There are also several cafes and restaurants in this area. Several spectacular, almost unspoiled beaches are located in the vicinity. You can easily reach Amoreira, Monte Clerigo and Arrifana from the village of Odeceixe, 18km north to Aljezur on the N120. Alvor - This important Roman port was mostly destroyed by the earthquakes of 1532 and 1755. Although this ancient costal village is now a very popular holiday location, the enclosed narrow streets have kept development to a minimum. Many of the streets boast bars with live music and different types of restaurants, but memories of the older fishing village can be found in the back streets. The area also boasts a large sandy beach and a number of secluded coves tucked under the cliffs. 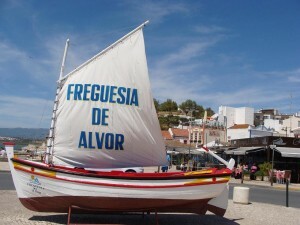 Carvoeiro - A lively fishing village that has become popular in recent years but retained its local charm. The fishing boats come and go and the local markets stock fresh local produce. 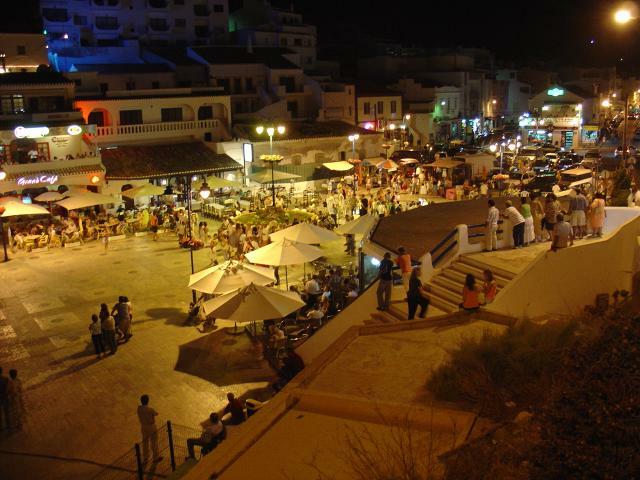 There are many sandy beaches in the area, along with plenty of shops, restaurants and spectacular scenery. 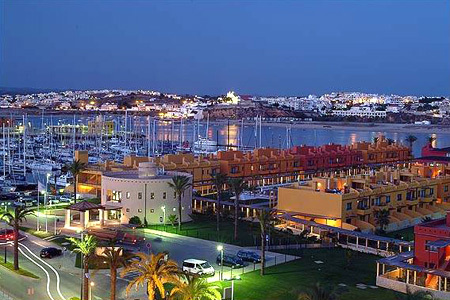 Faro - Faro is the administrative centre of the Algarve region with a population exceeding 40000 people. The city has both Roman and Arab ruins. You can see the open square that once used to be the Roman Forum. Interesting buildings include the 13th Century Cathedral, the Episcopal palace and the 16th Century Convent, now turned into an archaeological museum. The church of Nosso Senhora do Carmo is an excellent example of gold-leaf woodwork and contains a chapel lined with the bones of more then 1200 monks. The Naval Museum next to the small boat basin presents the maritime history of the region with an interesting selection of model boats and galleons. 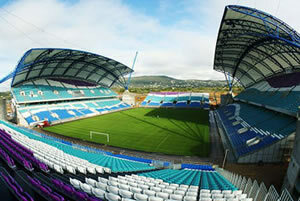 The city was also host to matches during the 2004 European Football Championships. Also near Faro is the Almancil Karting track, a 760 metre recreation of the famous Brazilian Jacarepegua formula one circuit. Lagoa - Lagoa is known for its wine, which can be sampled at one of the main factories on the N125. Standing on a small hill, Lagoa is surrounded by vineyards and its white houses gleam in the distance.In August of every year an important commercial and rural produce Fair named Fatacil is held in the town, exhibiting products from all over Portugal. The occasion provides an excuse for enjoyment whilst national bands and singers entertain the visitors late into the night. 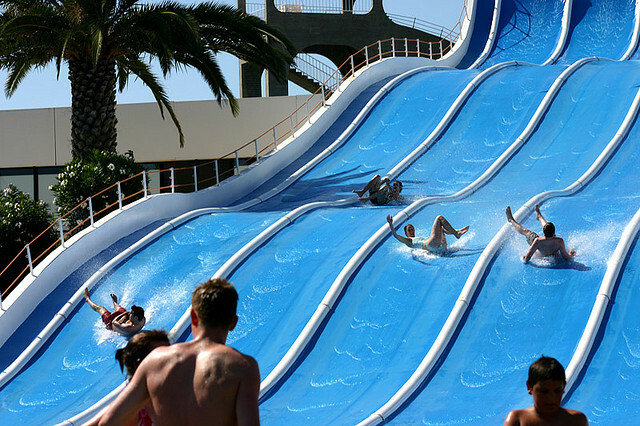 The Slide & Splash water park is also nearby. Loulé - The Saturday morning gypsy market is famous amongst the locals and holidaymakers. Leatherwear such as bags, belts and shoes, or embroidered linen and tableware, are also to found in abundance. Within the walls of the castle, originally from Moorish times, you may find the local tourist office. The parish church, São Clemente, has a mixture of styles, ranging from the Gothic 13th century to the later Manueline era. 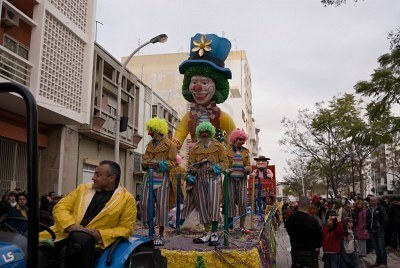 Loulé hosts the biggest and most flamboyant celebrations at Carnival time. Carnival, is 5 days of celebration before Lent is derived from carne vale - farewell to meat. This is the party of the year, and you can expect dancing in the streets, floats, flower battles, and fancy dress. Loulé also hosts an international jazz festival every July. Monchique - Monchique is located in a saddle formed by the two highest hills of the Algarve, Picota (774 m) and Foia (902 m). The inhabitants of this town have maintained the rustic atmosphere. The 17th Century Franciscan monastery overlooking the town offers a panoramic view over the peaceful countryside. The surrounding area produces cattle, pigs, cork and wood. It is also the place where the famous Medronho, an excellent strong schnapps is distilled from the fruit of arbutus bushes. The two hills dominating the landscape offer dramatic views to the southern and western coast of the Algarve. Hidden in the valley south of Picota there is a hot spring site named Fonte Santa that is rumoured to have special healing effects. Pera - Located between the lively resort of Albufeira and Praia De Rocha, Pera is popular with couples and families alike, who are looking for great beaches and a friendly atmosphere. Boasting one of the longest stretches of beach in Portugal, Amacao De Pera consists of fine, golden sand and shallow water, with plenty of water sports and boat trips available. Alongside the beach the streets are lined with excellent bars and restaurants serving local and international cuisine, Nightlife in Pera offers you the best of both worlds, from the lively music venues, discos and pubs along the seafront, to the quiet, laidback atmosphere of the bars in the old town. 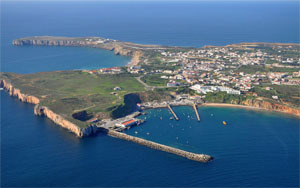 Portimão - Portimao is a commercially orientated town with 35,000 inhabitants. 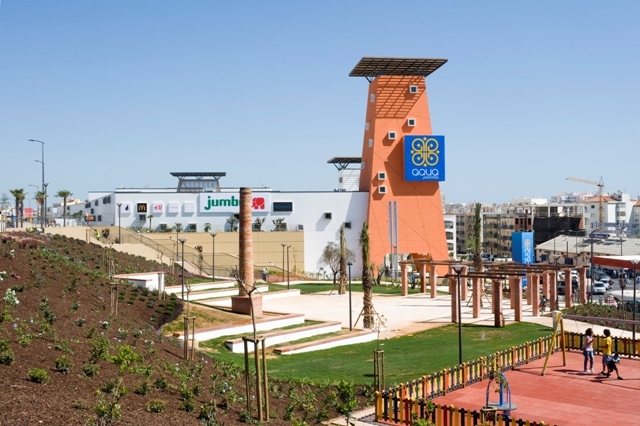 It is also one of the main shopping and big game fishing areas for the whole of the Algarve. Located at the mouth of the River Arade it provides a natural harbour and has been associated with many famous smugglers and pirates in the past. Its origins date back to a Phoenician, Greek and Carthaginian trading port, with some historians believing it was originally the notorious Portus Hannibalis named after the Roman general, Hannibal Barca. The municipal museum is housed in an old sardine canning factory where different art, history and general culture exhibitions are held on a regular basis. A new marina has just been built adjoining the popular tourist area of Praia da Rocha and with this has come a plethora of new bars and restaurants to while away the hours watching the yachts and what seems like the rest of the world go by. 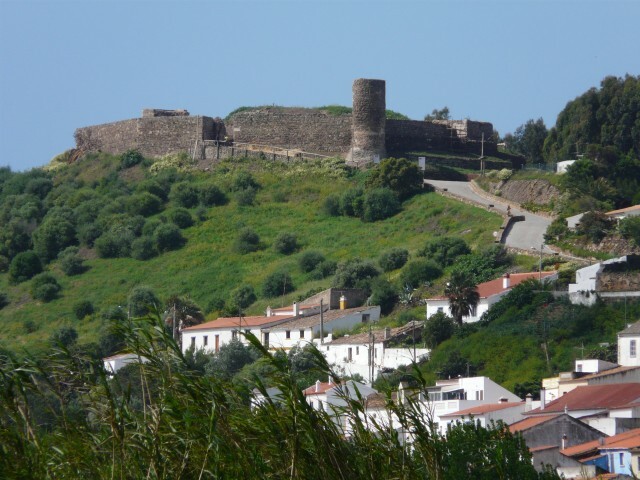 The nearby town of Ferragudo hosts the finest sea fortress in the Algarve. Sagres - The village of Sagres in the district of Vila do Bispo is situated on Europe's most south-western corner near Cape St Vincent. It was this exposed location that made Sagres the starting point of numerous expeditions during past centuries. The Fortaleza de Sagres (Fortress of Sagres), located south-west of Sagres on a small headland is a monument of national importance. There is an important fishing port nearby, where from Monday to Friday afternoon the catch of the day is auctioned here at the auction hall. Reserva Biogenética de Sagres is one of Southern Europe’s last remaining and most important stretches of wild, unspoilt coastline,filled with a wide biodiversity of different species and natural habitats, many of which are quite unique in the world. 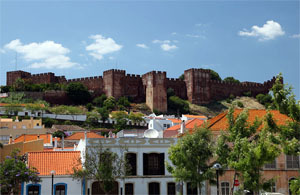 Silves - The origin of this town traces back to some 1.000 BC. The Moors constructed lavish palaces here and it became the cultural centre of learning for the whole Iberian Peninsula. The remains of the Moorish castle are impressive, and the huge underground water reservoir is still used by the city today. An archaeological museum has been constructed above this cistern showing local objects including items from the Stone Age. 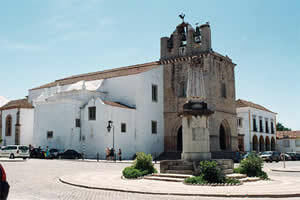 The tumultuous city of yesterday is today a quiet market town surrounded by the largest orange growing area in Portugal. Cork is processed locally. The dams of Arade and Foz are well worth visiting for the beauty of their natural setting. 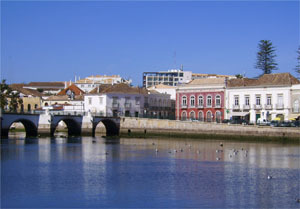 Tavira - Tavira is one of the architecturally most attractive towns in the Algarve. Its origin dates back around 2.000 BC, and during the Moorish occupation the fishing industry of this town was of great importance. With its inviting long beaches, this picturesque town offers a beautiful view over the Gilão river and its Roman bridge. If you are browsing along the Travessa de Dona Brites, you will see beautiful medieval houses, with Gothic windows and portals. 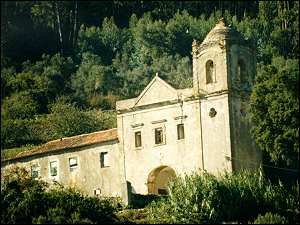 In the suburbs, in the small village of Luz there is a Renaissance church, which has been a pilgrimage place for many centuries. 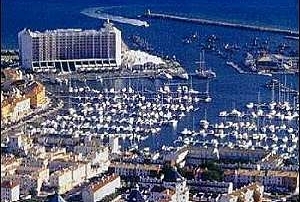 Vilamoura - Vilamoura is one of the largest single tourist complexes in Europe, covering an area of almost 2,000 ha of land. Parts of that land are covered with pine woods whilst others are open recovered marshland. The company owning the complex is extremely environmentally conscious, undertaking large effort to protect nature in the course of the further development. The sports and leisure facilities include 4 golf courses, a large marina, a lawn bowling club, a tennis centre, a shooting club, a private airstrip and a riding school. The international casino and several night clubs offer manifold distraction.